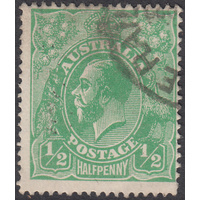 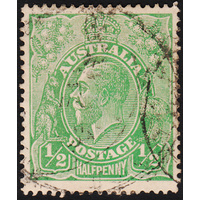 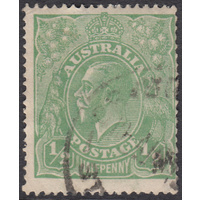 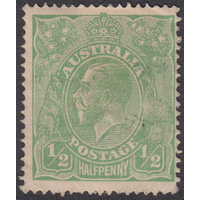 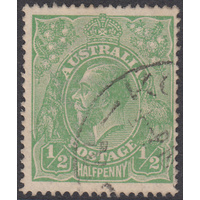 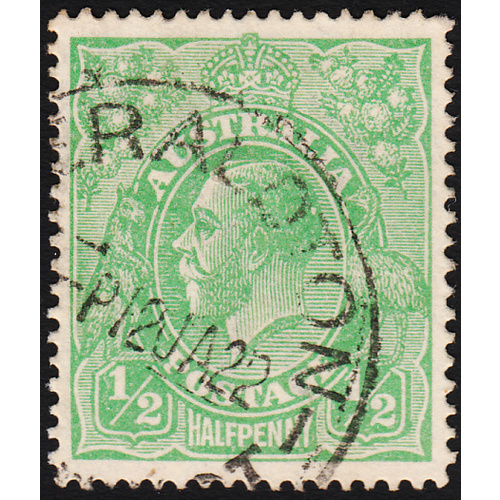 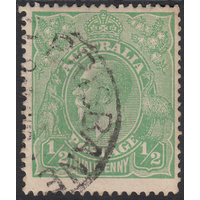 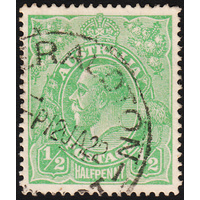 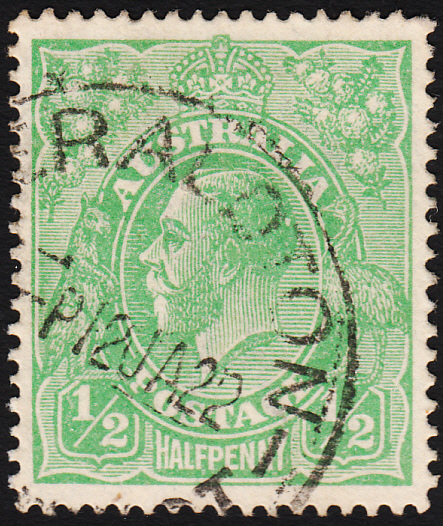 Australia KGV 1920, 1/2d Green, Single Watermark, variety 6L47 (small spot at back of King's head) in Fine Used condition with no faults. 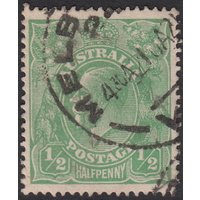 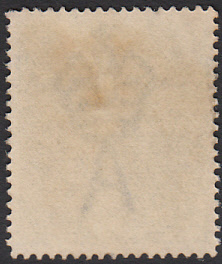 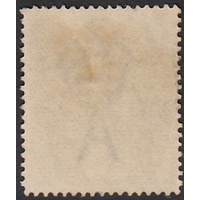 Well centered with a circular datestamp cancellation (GERALDTON, WA, 12th January 1922) just clear of the variety. 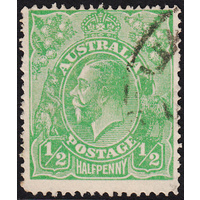 Excellent dated example.